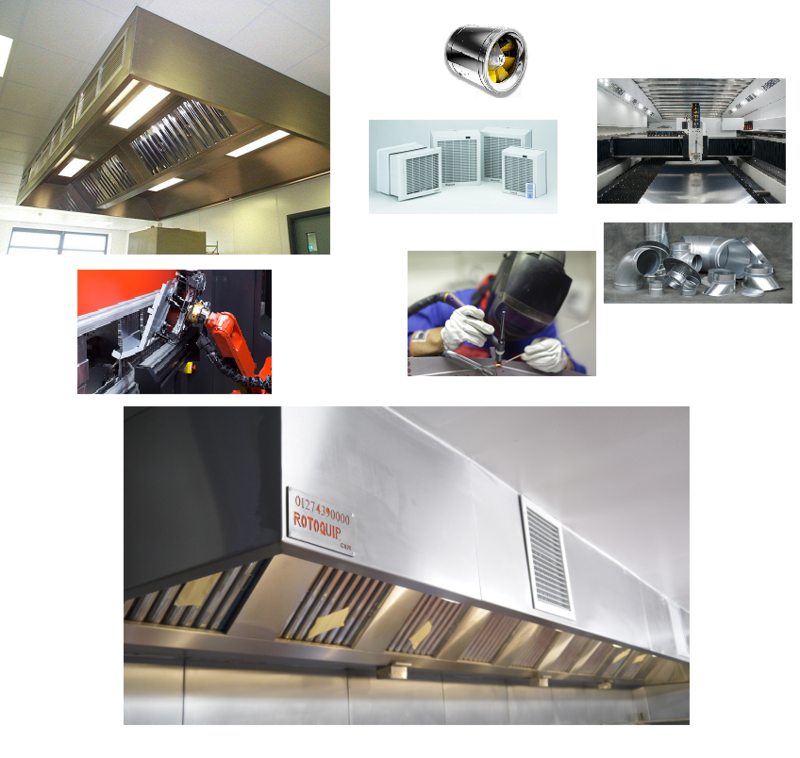 ROTOQUIP UK OFFERS A FULL RANGE OF COMMERCIAL KITCHEN VENTILATION SERVICES INCLUDING DESIGN AND PLANNING, MANUFACTURE, INSTALLATION, MAINTENANCE AND SERVICING AS WELL AS THE SUPPLY OF REPLACEMENT PARTS, WITH OVER 15 YEARS OF EXPERIENCE WORKING FOR ALL KINDS OF RESTAURANT, TAKEAWAY AND CATERING BUSINESS. EXTRACTION CANOPIES VENTILATION DUCTWORK GAS INTERLOCK SYSTEMS EXTRACTOR FANS CANOPY EXTRACTION FILTERS CARBON CELL FILTER SYSTEMS MAKE-UP AIR SYSTEMS HEAT RECOVERY SYSTEMS ODOUR CONTROL SYSTEMS HSE REGULATIONS ADVICE SERVICING AND CLEANING SITE SURVEYS AND ASSESSMENTS. For more information and pricing, please click here to contact our sales team.